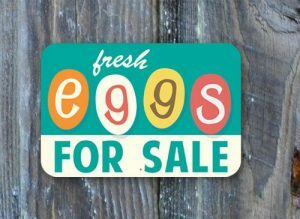 We will be under the pavilion this Saturday from 10-12 am at the corner of Market and Bank streets with EGGS! This Saturday we will also have greens available… kale, spinach, mustard greens, and baby lettuce. Let me know what your needs are and I will have your order ready when you arrive. Just a reminder, we have plenty of our home preserved items available for pre-order… home-made jams, assorted pickles, pickled beets, pickled okra, pepper relish, chow-chow, candied jalapenos, cowboy candy relish, salsa, pasta sauce, chili base and apple pie filling. E-mail me for any additional information or to place an order~ val@russellveggies.com.